Samsung has just announced a new 64GB memory moviNAND that could be used in the next-gen iPhone, which is rumored to be out this summer, as with Apple’s usual iPhone release time. The chip measures 1.4mm in height and it’s composed of 16 30nm-class 32Gb MLC NAND chip and a controller. 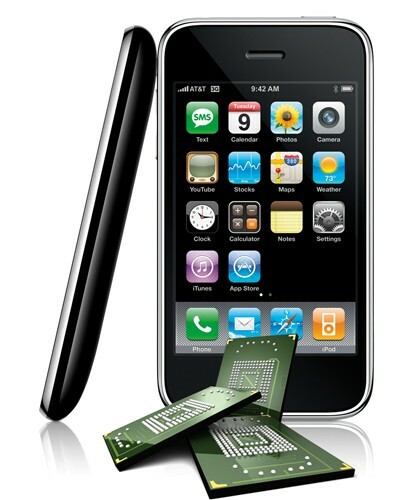 It’s expected that we might see this new chip, as each new iPhone is shown a bigger size is released so 64GB could be on the table for the iPhone 4G. Toshiba, meanwhile announced the upcoming release of 64GB NAND chip, so it might be either Samsung or Toshiba. So with all the rumours over the past few months I’ve been thinking what I’d love to see from the next iteration of the iPhone. Although some of the points maybe wrong if you believe the rumours, we have been wrong many times before but this is just what would make the iPhone 4G the next killer device. The iPhone runs pretty well on its current CPU, but having a dual core more powerful CPU would help make the phone snappier and along with the PowerVR SGX545 GPU we could be looking at desktop quality games and HD content. With HD capability we could play games at a whole new level, surpassing any current portable gaming device on the market. Along with HD playback and hopefully HD video recording. The rumours say that Apple is going to include a 5 Megapixel camera in the next iPhone and possibly Flash but a lot of phones these days are pushing up to 8MP and with bigger capacities why not? This would help bring more products in to one, the iPhone 3GS does a good job of video recording at VGA but 720p would make that video look even better. There has been a recent job posting looking for someone who would be able to work with 802.11n WiFi so it would be nice for the people who use it. For some people they must have all their video and music collection with them and so we need to increase the size of memory as usual, obviously Apple controls the prices on flash memory so I’m sure they can offer it. We’ve been slowly progressing, the original iPhone and the iPhone 3G both had 128MB or RAM which isn’t good when you have to reboot your device to play games, the 3GS made up for it with 256MB but why not add in a little overhead for those jailbreakers who multi-task? 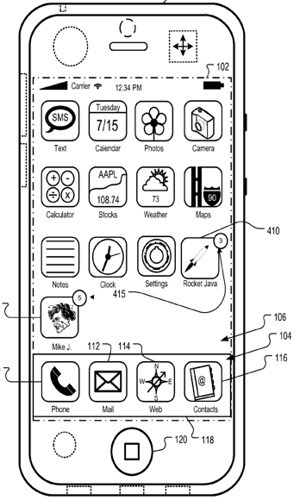 This is a feature that was rumoured for the 3GS but never happened, the technology has been around for years. I had a Sony Ericsson phone about 5 years ago that could video call, it was one of the first 3G devices in Europe but still the technology is there and it would make taking self-shots easier. This would make a nice feature, not only because it looks better but because it saves on battery life which is something the iPhone really needs ever since 3.0. As most iPhone users will tell you, unless you have a battery pack with you, your phone will not last the day. The jailbreak are trying at the current time to certain daemons from running and this apparently does increase battery life, but Apple should really sort this issue out. So many people ask me you have bluetooth right? And I reply the truth, Yes. But of course then I have to tell them how it’s crippled and how I can’t even send them a picture over Bluetooth. These are just my personal hopes for the next iPhone, obviously I know not all of them will come but hopefully Apple fits some in there. And one last thing, headphones that last longer than 4 months, I’ve been through 3 pairs in under a year. 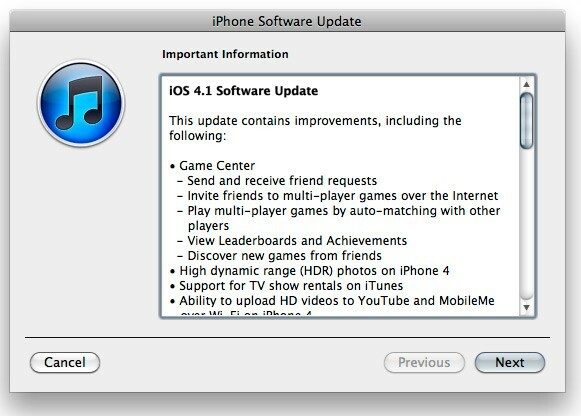 iPhone 4G To Have Dual Core CPU? A Korean newspaper has recently said “The next iPhone will be here in limited supply in April, and be more power than previous models”. They believe that Apple will be test running the next-gen iPhone to corporate sponsors as soon as April. Many other blogs are skeptical about what the Korean newspaper said, as Apple never usually test run devices except for workers at Apple working on the product. The report also talks about how the next iPhone will have the ARM Cortex-A9 CPU, which could offer speeds up to 2GHz which is a lot faster than what we have now. 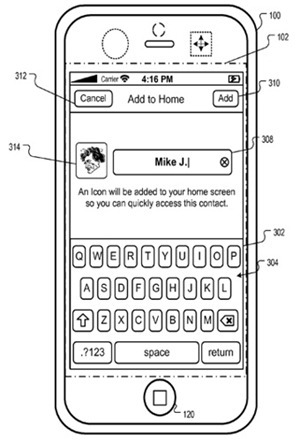 All of us expect the device to improve as it must for Apple to appeal to users with a prior iPhone. But a dual core CPU would work well with a multithreading GPU and would help push those HD graphics. 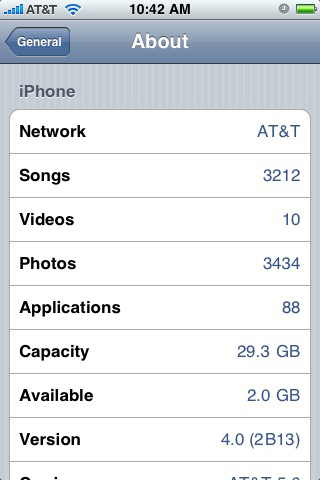 HD Graphics For iPhone 4G? Last Friday at the CES show in Las Vegas a new graphics chip was announced by the company who provides the chip for every iPhone. The HD-capable chip, the PowerVR SGX545 GPU has full OpenCL and OpenGL 3.2 support and can render 40 million polygons per second at 200MHz. Rumour has it that this chip will be found in the new iPhone 4G, this of course all makes sense as Apple market the iPod Touch and iPhone as both gaming devices and this would certainly make for some interesting games. 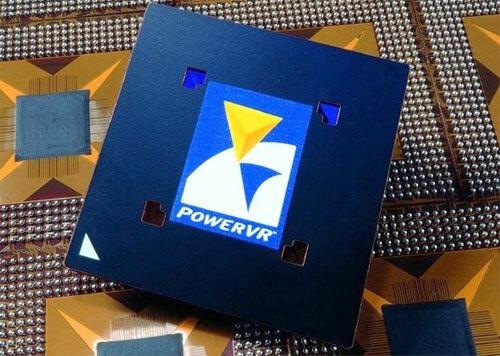 The PowerVR SGX545 GPU not only has HD-Capablity but also supports multithreading, so to enhance the performance it could me installed along side a multi-core CPU such as the ARM Cortex-A9, which is rumoured to be in the next generation of the iPhone. Combining our many years of experience in the embedded, mobile and PC-based DirectX graphics worlds, PowerVR SGX 545 takes the possibilities of hand-held graphics to a new level by delivering a full DirectX 10.1 and OpenGL 3.x feature set as well as delivering GPU powered OpenCL heterogeneous parallel processing capabilities for the mobile and embedded markets. This makes PowerVR SGX545 a compelling solution for application processor SoC designers targeting the next generation of netbook and MID mobile products demanding exceptional graphics capabilities. So we will be seeing a multi-core HD iPhone? Only time will tell.